Valmet will supply exhaust gas cleaning system (scrubber system) for seven new building container vessels, which will be built in South Korea by Daewoo Shipbuilding and Marine Engineering for Korean Shipping company Hyundai Merchant Marine. 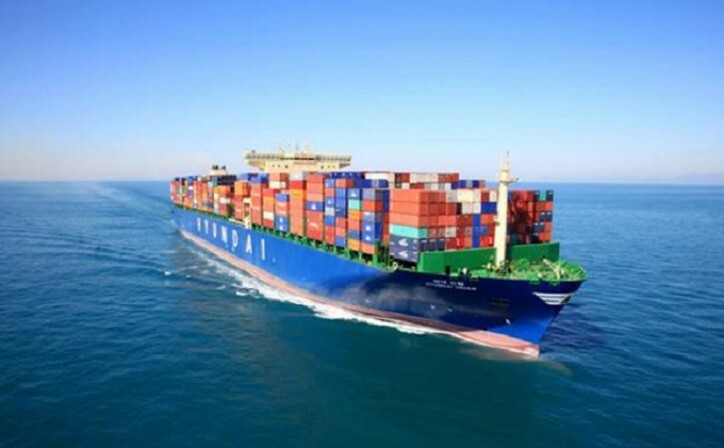 The building container vessels are the largest in the world, over 23,000 TEU (Twenty-Foot Equivalent Unit) each. The scrubber system deliveries will start in 2019. The scrubber system delivery will include tailor-made hybrid scrubber systems for main engine and generator engines including auxiliary systems and automation. The exhaust gas is washed with seawater in open loop mode and with recirculated water and alkali in closed loop mode. All emissions are continuously monitored, and the complete exhaust gas scrubber system is controlled with Valmet's proven marine automation.